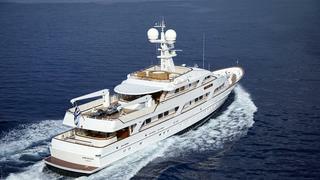 Custom-designed and built by leading Dutch shipyard Feadship, ANCALLIA is a 45.77m motor yacht. 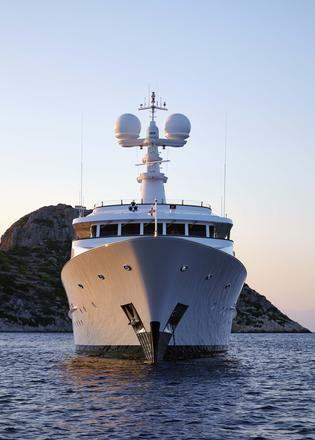 Recently refurbished to an exceptionally high standard, she won the Best Refit category at the prestigious 2015 World Superyacht Awards. A semi-displacement yacht designed for smooth cruising, her classic lines and timeless look ensure she always stands out from the crowd. 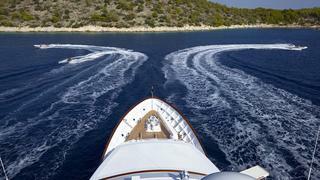 The ideal choice to explore the Mediterranean, ANCALLIA doesn’t just meet guest expectations, she exceeds them. 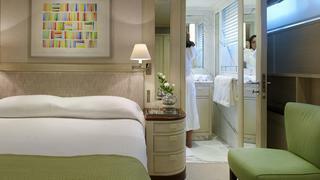 With 7 suites onboard, ANCALLIA can welcome up to 12 guests overnight in luxurious comfort. 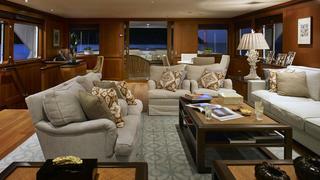 On the main deck, the owner’s suite has been designed as a stylish home away from home. 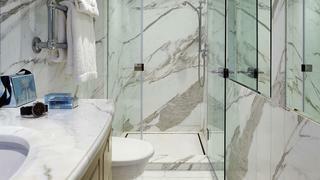 Chic modern décor is paired with a spa-style ensuite bathroom to create a serene and sophisticated space to relax after hours. 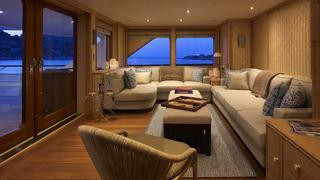 The remaining 6 cabins are all located on the lower deck of the yacht. 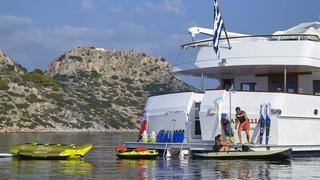 ANCALLIA’s guest accommodation includes a VIP cabin, 2 double and 2 twin cabins. 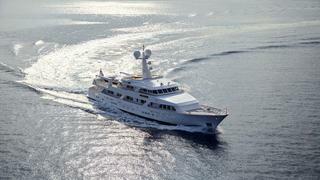 There is also an additional single cabin which can be used as staff accommodation when required. 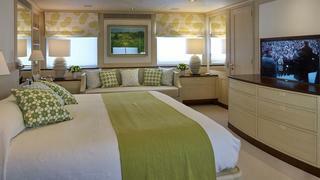 ANCALLIA’s crew quarters are also located on the lower deck. 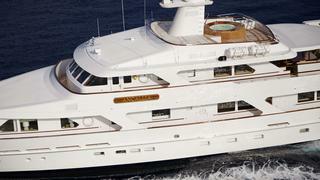 Her 10-person crew will be on hand throughout the charter to take care of you and your party. 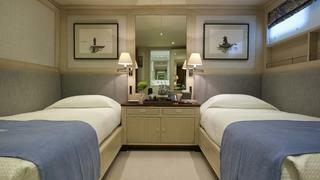 Elegant and refined, ANCALLIA’s modern-classic interior was beautifully styled by Colefax & Fowler of London. 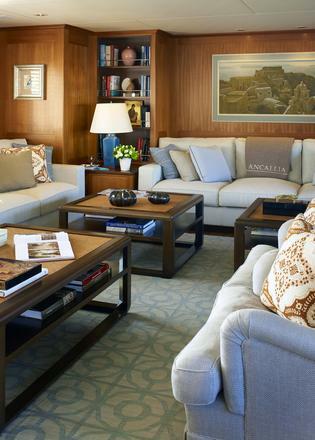 Polished wood panelling is paired with neutral-coloured furnishings and bold accessories to create a timeless look. 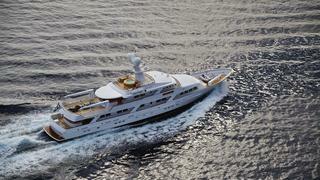 The design is most definitely in the detail on-board this stunning superyacht. 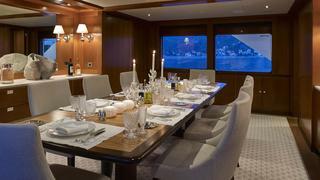 On the main deck, a large saloon and formal dining area are the ideal space for entertaining while cruising. 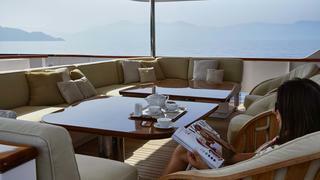 Upstairs on the boat deck, a spacious sky lounge with a beach-chic vibe opens directly onto the sky saloon. An excellent spot for a morning coffee or an evening drink, the sky lounge offers guests breath-taking views of the ocean. 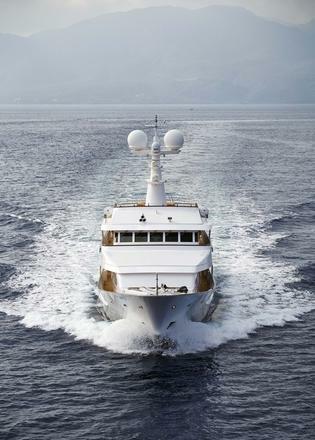 Designed by De Voogt Naval Architects, ANCALLIA combines the classic lines of a Feadship yacht with state-of-the-art technology. Spacious and open, her exterior deck areas were created with outdoor living in mind. 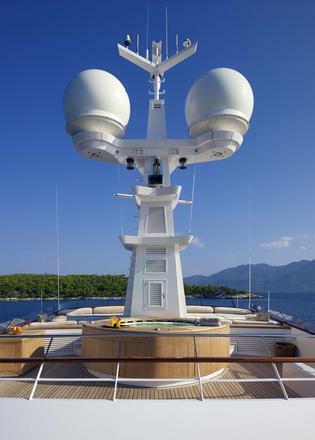 Both the main deck and boat deck feature multiple lounge and dining spaces with an idyllic ocean backdrop. 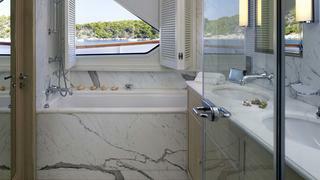 An outdoor jacuzzi and raised sun pad can be found on the upper Sundeck. Down at ocean-level, the beach club offers direct access to ANCALLIA’s excellent collection of water toys. 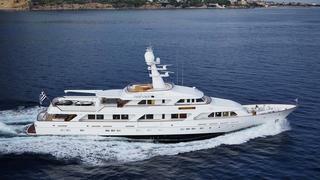 ANCALLIA’s selection of toys and tenders is simply the best. 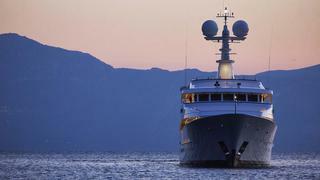 Equipped with everything from kayaks to snorkelling gear, she has it all. Get your adrenaline levels soaring with her wakeboards and waverunners before taking a ride on the banana boat. 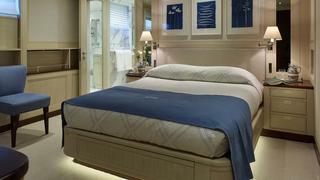 With so much on offer, your holiday will be exactly as action-packed or as relaxed as you want to make it.